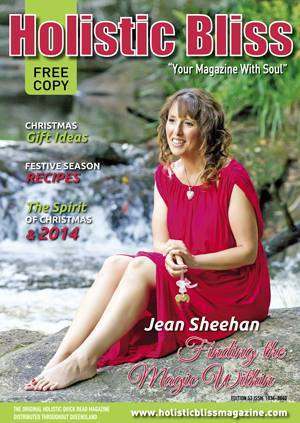 Medical Intuitive Jean Sheehan is the author of the Millennium Modality® & founder of the Millennium Education Centre, based on the Sunshine Coast, Queensland, Australia. The centre currently offers studies in Millennium Children, OPENING DOORS TO AUTHENTIC POWER and MEDICAL INTUITIVE studies Modules I – IV. These modalities which are fully accredited are offered within Australia, North & South America, Canada, England and throughout the Asia Pacific region to anyone wanting to reclaim their personal empowerment and live a life of absolute abundance. These courses can be used personally and professionally. After completing one of the many seminars, fun-shops or accredited certified courses, you will use these tools to completely transform your life. You will leave with new ideas and an expanded sense of identity. It produces permanent feelings of fulfilment, shifting old of frameworks and a cleaning the slate to create new ones. 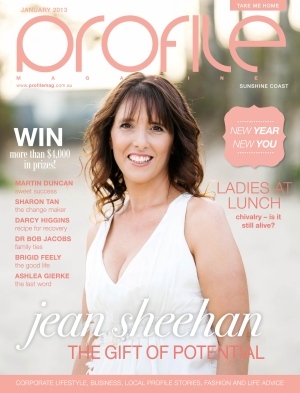 As a winner of the BOMA Women in Business Award, nominee for the Telstra Business Woman Award and runner up in the Sunshine Coast Business Woman of the Year Award, Jean has proven herself as a successful business woman and entrepreneur in her own right. Jean successfully built her two businesses from the ground up with just a dream in her heart while raising her two young children. She is a recognised leader in her field of personal, spiritual growth and self development. She is a mentor and personal coach to hundreds around the globe. Jean’s purpose is to gently assist those who are awakening, and help them remember who they are, to successfully and abundantly accomplish the purpose they came here to fulfil. Her passion …. “Creating Heaven here on Earth”. Due to demand and popularity, Jean’s courses, fun-shops, seminars and personal coaching schedules are normally fully booked well in advance. This is due to heart felt love and the gift of empowering others. Her teaching techniques are unique and entertaining and sometimes confronting, bringing with them instant results and exceptional transformations. Join Jean Sheehan and her dedicated team at Millennium Education and become awakened to absolute empowerment by learning how to love life in this new millennium by becoming a master of your own personal destiny. Many people have heard my story of ‘rags to riches, fear to absolute love’. I have now created a Profession and business that travels the world doing what I love and being paid for it and connect with extraordinary people like you. I found in my journey that the best form of empowerment is education. The word education means enlightenment. To be enlightened means to have understanding, insight, learning and knowledge. So Millennium Education was created to provide this service. The whole purpose of education is to commence the mind of the individual to growing and developing from within, to cause the mind to evolve and expand through constant changes in the thinking process, so the individual may eventually become acquainted with his/her own potential powers and thereby capable of solving his/her own problems. Evidence of education is confirmed with natures plans and can be seen when people graduate from university of hard knocks, through experiences which force them to develop and use their universal and absolute mind. Nature deals with hard knocks and always has a way of recreating itself – just like we have this opportunity to do. This is what I have done in my life and will continue to do just like you. But now there is easy techniques and system to aid you back on to your life purpose …. With the Millennium Modality® – Medical Intuition. I want to share these easy tools and systems with you that transformed my own life on all levels and has helped thousands. You will learn techniques to discover who you are, what is your purpose and open to new doorways to create the world you want. Using the body and its metaphysical body consciousness you can discover what your body is saying so that you can synchronise it to be at optimum health, wealth and vitality. Once learning these techniques you will be conscious of your own patterns, be able to change these and create new outcomes and tap in to potentiality all the time. You have the opportunity to let go of struggle, sabotage and issues so that you be the empowered person you know you are! It will include ancient wisdom as well as modern day quantum physics. I so look forward to connecting with you.